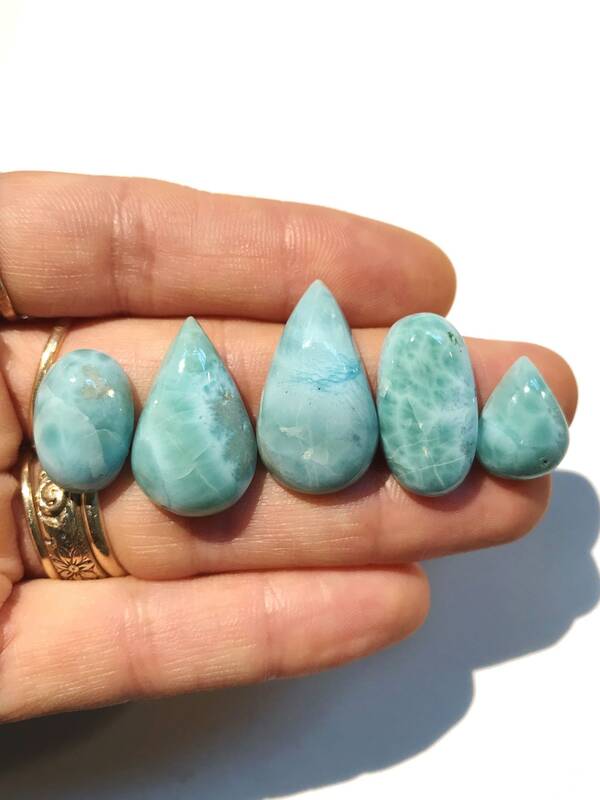 Larimar looks like the ocean in a gem. 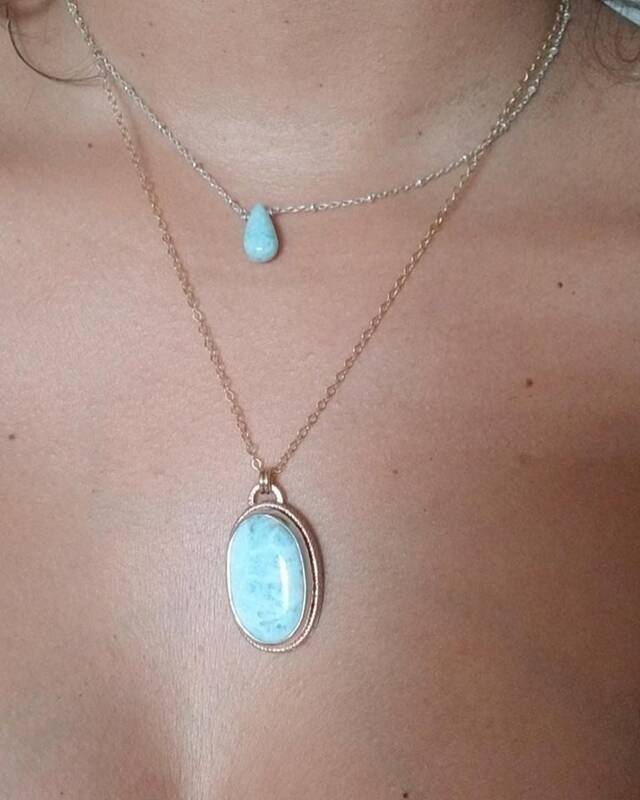 Also known as Caribbean turquoise, larimar brings tranquility & peace to the wearer. It is a rare blue type of the silicate mineral - pectolite - that is only found in the Dominican Republic. 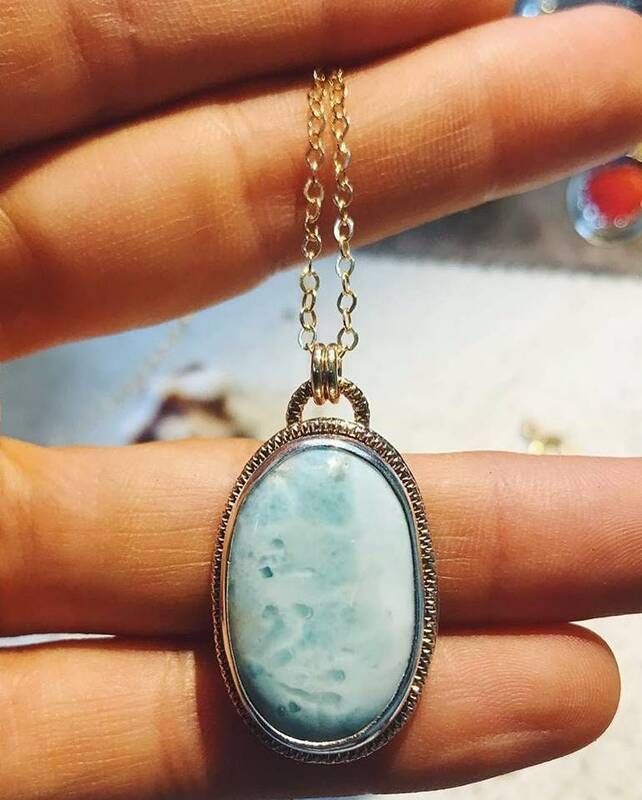 Your larimar gem will be set in fine silver inside a border of faceted 14k gold fill wire on a 14k gold fill chain, the same design as the featured & 4th image. 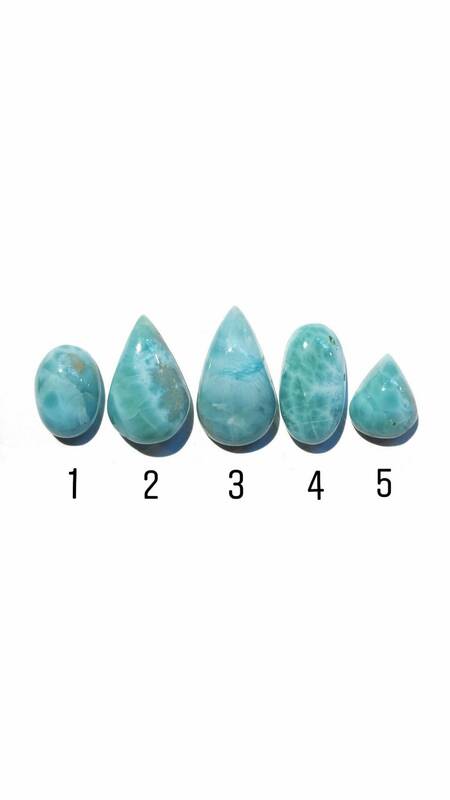 The largest larimar gem (middle) measures 1" tall & 5/8" wide. The smallest one (far right tear drop shape) measures 5/8" tall & 1/2" wide. Select your chain length at checkout.